Through the promotion of physical, mental, and social growth, the health staff work to maximize the achievement and well-being of students. As the primary health care provider's within the educational environment, the school nurse shares in the responsibility of directing growth towards the achievement of each student's maximum potential, both as a student and as a member of the community. 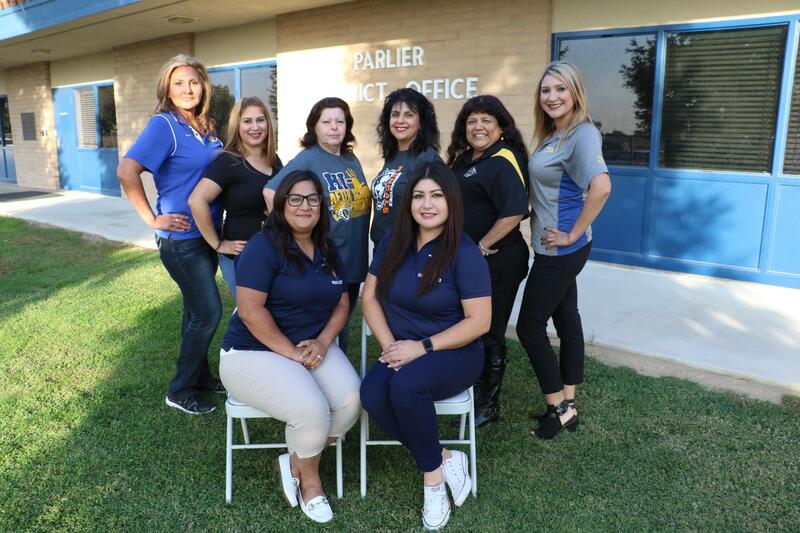 The focus of Parlier Unified Health Services is the prevention, identification, modification, and resolution of health related problems that interfere with a student's ability to achieve in the school environment. PUSD's Health Services Team is comprised of a Professional School Nurse, a Licensed Vocational Nurse (LVN), and trained Health Aides. The Registered School Nurse in the district oversees the operation of the school site(s) health office(s) including special education and 504 plan health assessments, staff development and required staff training to support Individualized Student Health Plans and Emergency Care Plans, state mandated health screenings, and ongoing training & supervision of the PUSD LVN and Health Aides. LVN and/or Health Aides, under the direction and supervision of their School Nurse, assist with: maintenance of student health records, general assessments of ill students, first aid for school-related injuries, emergency response, the administration of medication and/or treatments for students as ordered by their physician. All health services staff are also available to consult with parents, students & staff regarding other student health concerns.